The new tap-and-go feature makes it easy for customers to make payments directly from their wearable devices. 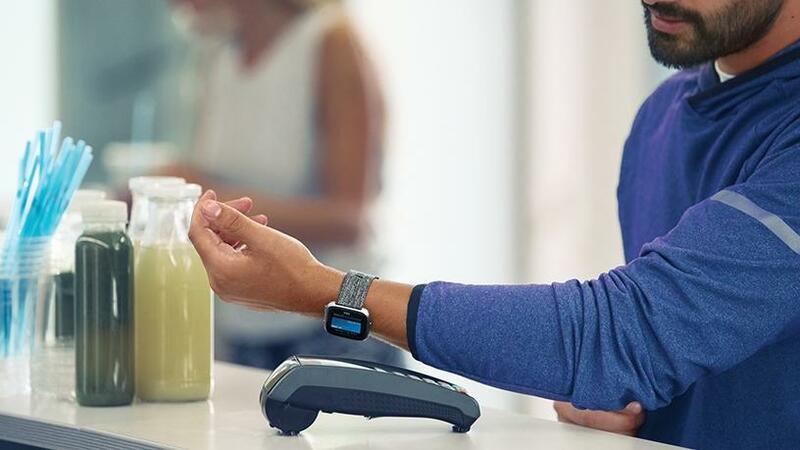 First National Bank (FNB) customers who own Fitbit and Garmin wearables will now be able to make payments through their Visa FNB banking cards, by tapping their compatible wearables on any contactless enabled point-of-sale (POS) device. This week, the bank introduced a tap-and-go feature, which supports Fitbit and Garmin wearables, to make it easier for FNB/RMB Private Bank cardholders to make payments directly from their wrist wherever contactless payments are accepted. The new service, according to FNB, is in line with its digital strategy to migrate more customers to its digital channels. "This latest offering complements a number of our digital solutions that enable customers to conveniently make payments without the need for carrying a physical card or cash," explains Jason Viljoen, head of digital payments at FNB. "It further aligns to our ongoing strategy to migrate customers to digital channels where we continuously provide them with innovative and customer-centric solutions that meet a diverse range of needs." To make a payment, users select the wallet feature on the Fitbit or Garmin App, and then link their FNB Visa cheque or credit card to it. They can then tap their wearable on the contactless POS in store, just as they would when paying with their FNB Pay-enabled smartphone or their contactless card. FNB says it has added multiple layers of security, such as encryption and tokenisation, to provide customers with secure methods of making a payment, ensuring card details remain private and secure as they cannot be shared with retailers, Fitbit or Garmin. Customers are also required to use a personal four-digit PIN code for an extra layer of protection. According to a report by Juniper Research: POS & mPOS Terminals: Vendor Strategies, Positioning and Market Forecasts 2017-2022, more than half (53%) of global POS transactions will be contactless in the next five years. "Contactless payments adoption will rise sharply, pushed by customer dissatisfaction with the slower speeds of chip card transactions, allied to the burgeoning contactless infrastructure, which would provide further impetus for smartphone-based payments currently dominated by Apple Pay," notes the report. Last month, Mastercard announced an initiative to create greater payment consistency by making 'tap-and-go' a standard feature in its cards, in the next five years. Beginning later this year, Mastercard says it will introduce a series of card and terminal upgrades across the Middle East, Africa, Europe, Latin America, and Asia Pacific, to bring contactless card payment technology to more people in more locations around the world. "This move means that every cardholder will be able to 'tap' their card or device to pay, in these regions, every day," said Mastercard at the time.